I am so excited that the Summer is finally here. If there is one thing I love it’s having smooth and relaxed feet for Summer. I love the look of a new pedicure, but I love the scrubs that they use even more. 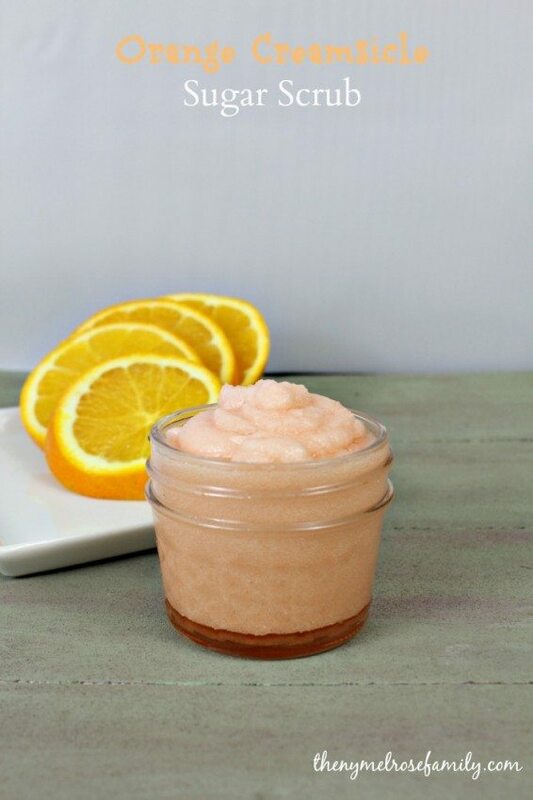 I created my own spin on the traditional sugar scrub used at my favorite spa with my Cucumber Green Tea Sugar Scrub. I had the Cucumber & Green Tea Wash in my cupboards because it’s a favorite wash of Riley’s. We just love the smell. Any type of body wash would work though. You can always adjust the amount of sugar to compensate for the consistency of the wash. I packaged the Cucumber Green Tea Sugar Scrub in a mason jar with raffia wrapped around the lid. I added a vintage silver button to give the mason jar a little more flair. 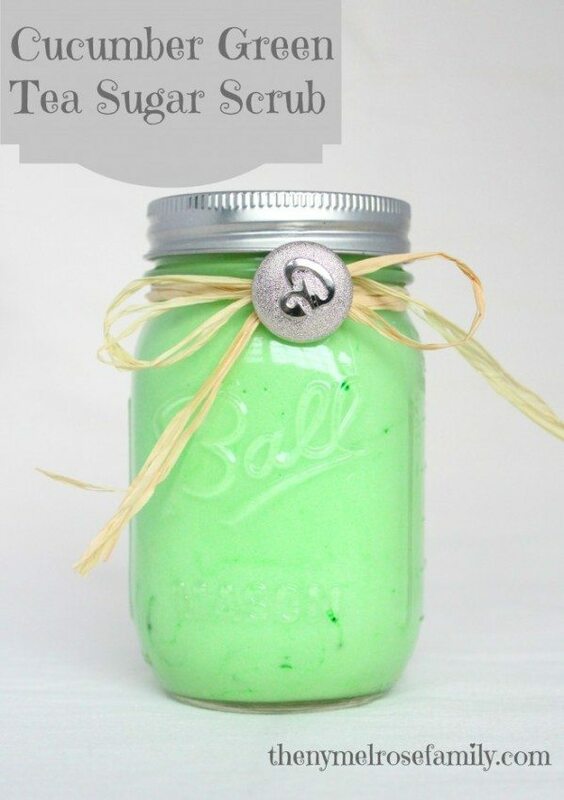 These mason jars would make a great gift for a bridal shower or other special events. 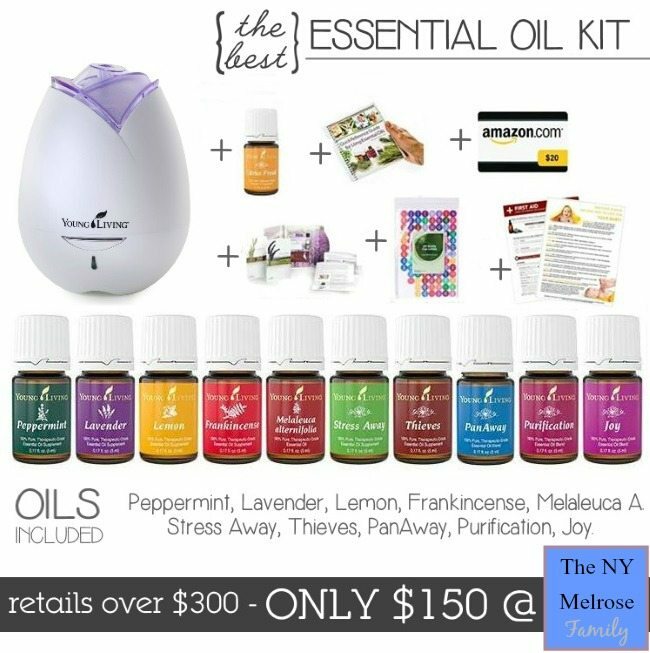 We are completely in love with essential oils and are over the moon excited to be able to offer you our AMAZING December 2014 that will get you started! I can’t believe how simple this is! I bet it feels and smells wonderful! My feet need this! I can’t wait to try the scrub, I love the smell of Cucumber tea! The earring are beautiful! I’ve tried to get my password from Instagram a lot of tries because I forgot, but they won’t send it to me. So I can’t get the points/entries for it. I don’t know what else to do to get it. Thanks for the scrub and the giveaway. This is great, can’t wait to try! Hi this looks like fun to make and give as a gift. I saw it on Made by you Monday. This looks great, do you know how long it will keep? I’m guessing a long time, but want to make sure. Thanks! I made this back in May for my grandmother and she just recently said that she was using hers still. I would think for quite a while as well, especially in a mason jar. hello. will it stay longer in a plastic container? it’s quite difficult to find mason jars where i am. you please tell me how much this makes. I love cucumber and green tea fragrance. I can’t wait to make it. I was thinking of making some for gifts. I just needed to how much supplies I should buy Thanks!! How much of each ingredience do you put in ?? The ingredients with the measurements are under the first picture. I made a lavender version of this. Except I used lavender scented Epsom salt & johnsons baby lavender bedtime bath. I also used a drop of food coloring to make it lavender color. It has such a nice feeling, doesn’t leave an oily feel afterwards. 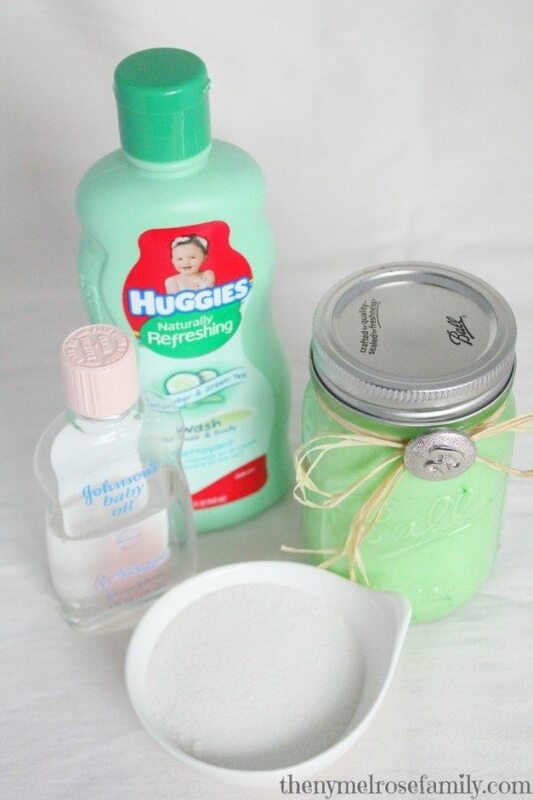 can’t wait to try this scent. .
I’ve looked for the Huggies wash, can’t seem to find it? Where did you buy it at? Where di you find the Huggies wash?, can’t seem to find it? Can you tell me how long you soak feet or any other directions, I want to give as a gift.. Thank you! How long do you soak feet in it? 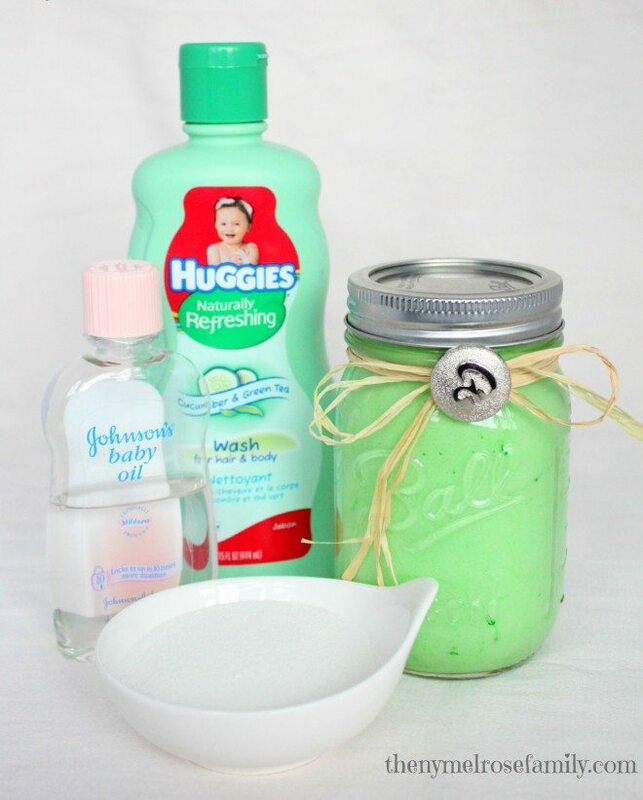 I love this… except I used coconut oil instead of baby oil. I also made another version with Dr. Teals Vapor bath(lots of other varieties) and Epsom salt. Smells FANTASTIC and really helps when you have a cold or allergies. Both leave your skin so soft. consists of lots of helpful facts, thanks for providing these data. Where did you find the wash?